Are you looking for a Color Copier in Fort Worth? If you have been looking around and the whole process has been brutally confusing, you have come to the right place! We work hard to make your copier purchasing decisions simple for you! Here are a few things to keep in mind if you are looking at a Color Copier in Fort Worth! Do you need TABLOID (11 X 17) printing or not? If no, you can save thousands of dollars. Do you need print shop quality or is standard business quality sufficient for your needs? What percentage of Tabloid vs Letter sized paper do you print? What is the percentage of color to black and white prints you are printing? 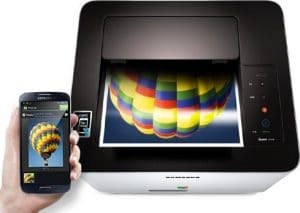 Now from there if you want to go to the next level… you will want to have print samples from different devices you are considering. We are happy to do a demo or provide print samples for any copier we are looking to sell. Ultimately, if it doesn’t fit what you need we will both be unhappy because we’ll have an annoyed customer who tell their friends how they got hosed. Our goal is to make this copier purchase experience as pleasant as possible for you and more importantly the ownership experience the best possible fit possible so you are not just happy when you buy, but 3 years later!